We’re just two normal people who are madly in love on a mission to veganize everything while working with a kitchen that’s about the size of a bathtub. 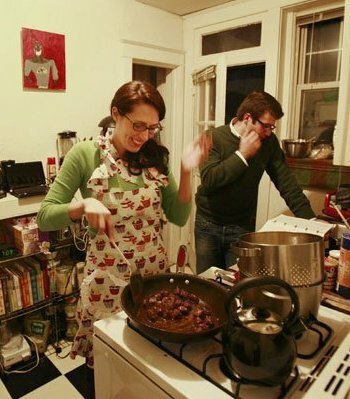 Even after we moved to Brooklyn and leveled up our kitchen, we still only have so much room in our fridge and pantry – so we have to shop and cook smart. One thing we hate about most cookbooks is that they list their recipes by recipe title and not by ingredients which can leave you with a fridge of leftover ingredients at the end of a meal. That is why we created this page. If you are finding yourself wondering what you will do with the remaining ingredients from one dish – you can use this page to see other dishes that also have similar ingredients. This page will always be a work in progress so please keep checking back and think of this as a renewable resource!